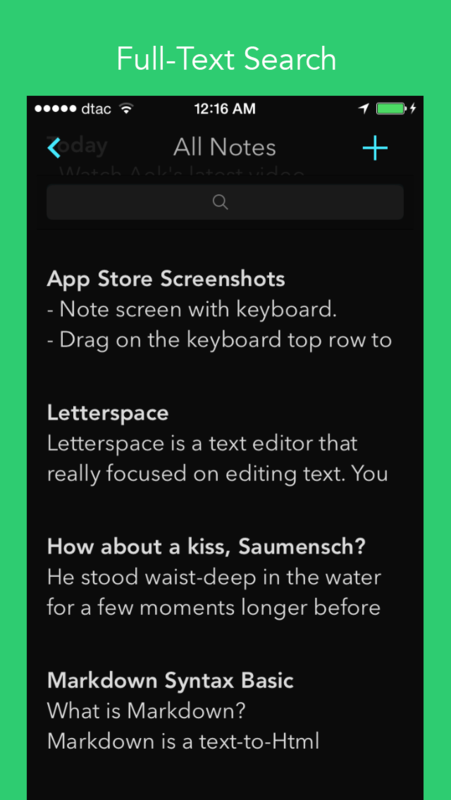 Letterspace is a simple text editor. You can move type cursor using a swipe on a bar above your keyboard. Swipe left to move back, and swipe right to move forward. Editing text doesn't have to be hard. 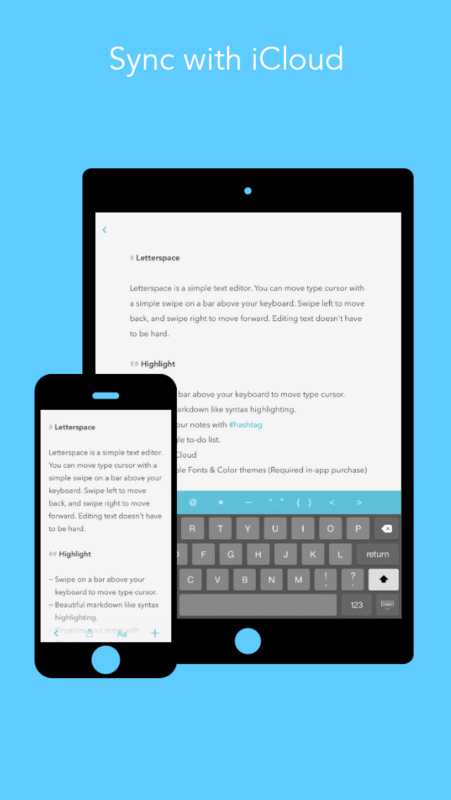 Use Letterspace to keep ideas, things to do and anythings you would like to remember. Your notes stay in sync with all your iPhone and iPad for free. 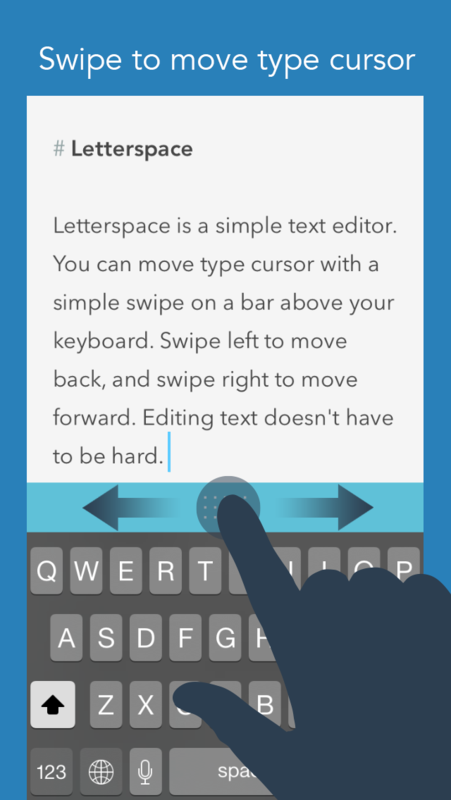 - Swipe on a bar above your keyboard to move type cursor. - Beautiful markdown like syntax highlighting. 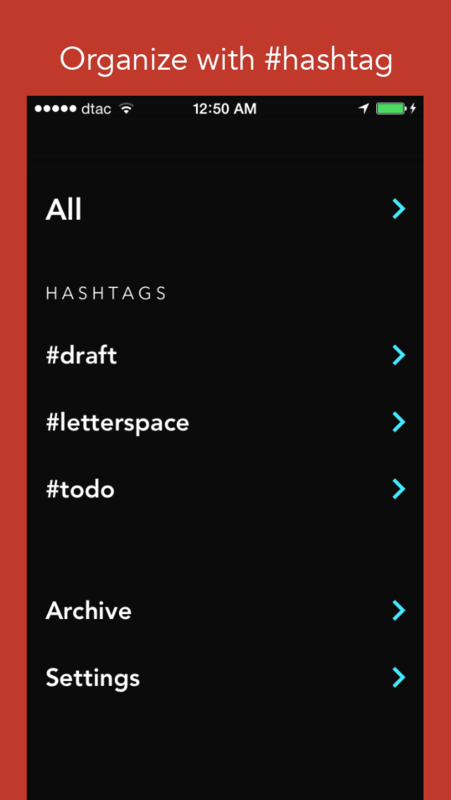 - Organize your notes with #hashtags. 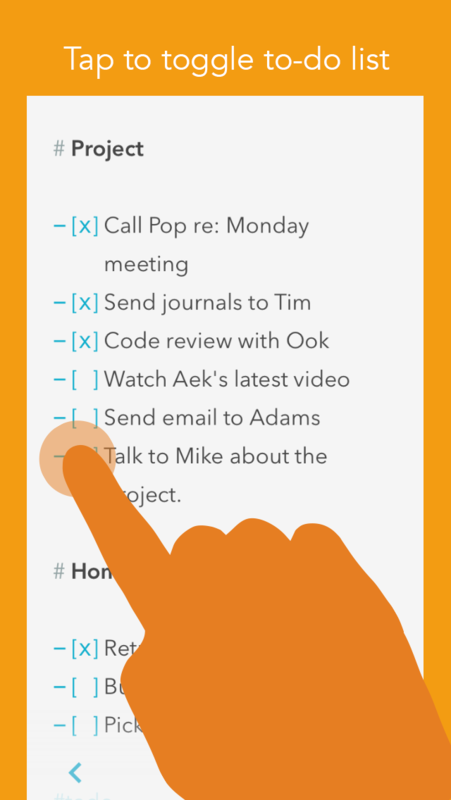 - Tap to toggle to-do list.